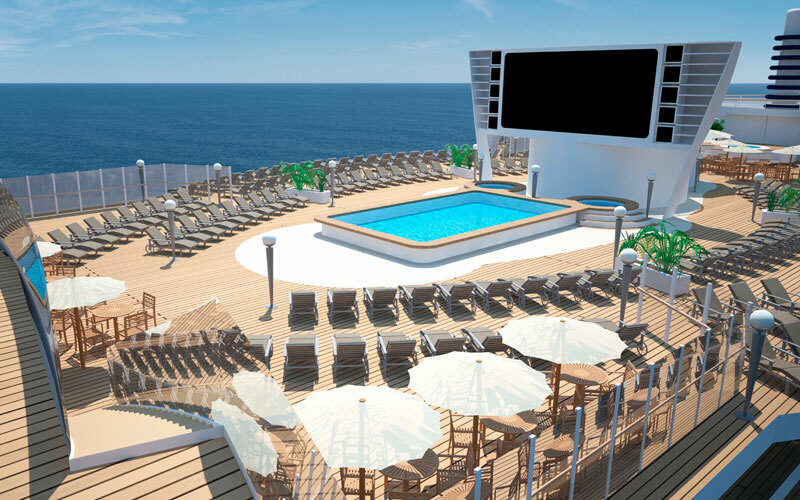 MSC Seaside is designed specifically for the warm weather of the Caribbean, featuring plenty of open air spaces to enjoy while you follow the sun! This revolutionary new ship will accommodate over 4,000 guests and feature an impressive 360-degree wrap-around boardwalk promenade. 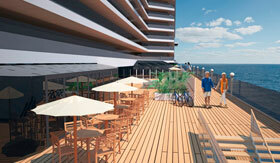 Guests aboard the MSC Seaside can enjoy a variety of dining, bars and shopping venues along the open-air promenade, along with plenty of lounge space and a pool. 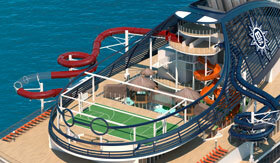 Keeping in line with MSC Cruises’ mission of providing quality entertainment for all ages, the MSC Seaside will include a diversity of entertainment options, from a movie theater and full-sized bowling alley to a sports zone and an incredible multi-story aqua park with 5 unique waterslides. The MSC Seaside features several different stateroom options, including the line’s exclusive MSC Yacht Club – the pinnacle in contemporary luxury cruising. Of course, guests can also choose from a variety of suites and family suites, as well as budget-friendly interior, oceanview and balcony staterooms. You can cruise with MSC Seaside to destinations like the Eastern and Western Caribbean...MSC Cruises can take you there in style. Enjoy some of the best sea views around while strolling along the waterfront promenade, a unique boardwalk area that wraps around the MSC Seaside. The Seaside’s ocean front promenade features various shops and dining venues, along with panoramic aft elevators for even more amazing ocean views. When you’re not relaxing by the pool or enjoying MSC Seaside’s various dining venues, the Aqua Park is the place to be! This highly imaginative and unbelievably entertaining aqua park is one of the largest at sea, featuring tandem waterslides that spiral racing guests down to the finish pool. When it’s time to dry off, head to the nearby sports courts for more fun in the sun. Experience true luxury aboard the MSC Seaside by staying in the MSC Yacht Club, an exclusive luxury retreat with private access to unique specialty dining venues, a pool and lounge space, plus unlimited drinks from exclusive Yacht Club venues. 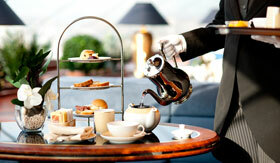 The spectacular MSC Yacht Club suites also feature 24-hour butler service and a dedicated concierge.